Sunflower oil. 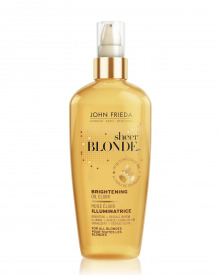 A drop of health for hair! These days hair oiling is more popular than hair colouring and oils are widely discussed. Although we can choose between lots of exotic oils (e.g. from India), we still like to reach out for traditional products that are at our fingertips. Sunflower oil is one of the most popular oils for high porosity hair. Why? Curly hair is high porosity by nature. High porosity means trouble for other hair types but raised cuticles are completely normal in case of curly strands – this the secret of their defined curl. Hair oils for curly hair can make it look beautiful. Choosing a wrong oil, on the other hand, may cause frizzy strands and unaesthetic effect. Sunflower seed oil is among oils that are usually recommended for curly hair. 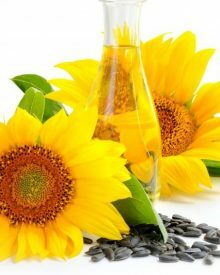 Cold-pressed and unrefined sunflower oil works best in beauty care. Such an oil contains far more valuable nutritional ingredients (including essential fatty acids). You might use the one that is sold at food stores but it won’t bring as splendid effects as its unrefined and cold-pressed version. 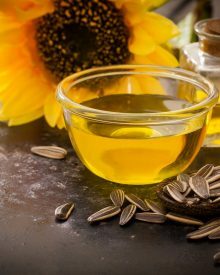 Sunflower oil belongs to the group of non-penetrating oils. It has larger particles than other oils due to a large amount of polyunsaturated (56,4%) and monounsaturated (32,8%) fatty acids. As a consequence, sunflower oil is an excellent choice for medium and high porosity hair. 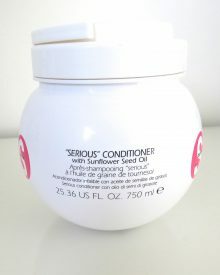 other techniques (oiling in a bowl; as a spray; added to a conditioner).